Here we are again, with another episode of 3 Questions Live! This is where I will answer 3 questions from you and ASK 3 questions that I would like for you to answer. How do you convey to a new leader that their role is not just about wearing a different colored shirt? How do you get respect from your leaders when they discount your ideas for being a “millennial”? How do you get respect from peers after a promotion, especially when one of them was up for the same promotion you got? If you have thoughts or comments on any of these topics, I would love to hear your perspective as well! How often should we do formal evaluations? What are the best ways to teach leadership skills? What are some of your favorite books, podcasts or resources that provide great insight? Please enter your answers to the above questions, or your questions for a future episode in the comments below, or email me at matt@performanceoptimist.com. The Myth of Employee Burnout Supervisor Training Program – takes the worry and stress out of supervisor development! Use the coupon code POC10 for 10% off! Valid through Dec. 31, 2017! Welcome to the first (of hopefully many) installments of a new video series called “Three Questions” were I will prepare three questions for a guest, and they will do the same for me. We won’t know what the questions are prior to recording, so answers are unrehearsed and unedited. My first guest is George Deines, longtime water park operator, leadership aficionado and fellow Seinfeld fan. I’m still learning the technology and format, but what George has to share is gold, Jerry. Gold. There were a few other choice words, but that was after a very long car ride on a journey to see a moose. I can’t say we will fare any better, but we’re going to give it our best shot. I’ve been experimenting with accessing all of these outlets with my phone, so we’ll see what happens. I’ll apologize in advance for any lapses in technological know-how. Trolley Parks to FEC’s… and back? 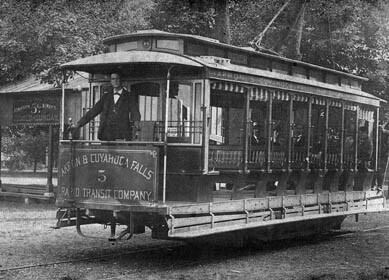 In early 1900’s, Trolley Parks were all the rage in the United States. If you don’t know what a Trolley Park is, it’s a recreation park that was developed at the end of a trolley spur in a city or town to encourage ridership on the weekends – in essence giving people a reason to ride the cars (and spend money) on Saturday and Sunday. Those small parks were often near lakes, and eventually grew up to become full-fledged amusement parks. I am proud to say I started my career at one such park in New Hampshire, Canobie Lake Park. Unfortunately due to that pesky invention, the automobile, people did not need to rely on trolleys as much for transportation, and the decline of the Trolley Parks began. Other economic factors were at play as well, and today only a handful survive. Something occurred to me the other day, though, that got me thinking that there is a new generation of trolley parks popping up all over the country. They are called FEC’s. Family Entertainment Centers. Some as quaint as an arcade and ice cream parlor, others as grand as mini-golf, go-karts, rides, games, restaurants, water slides… some are getting so big they are redefining the category of FEC. They are really small amusement parks. Which tells me this: the market for a close-to-home, moderately priced attraction did not die with the Trolley Parks – it just went away for awhile. But now it seems to be back with a vengeance. With more and more “stay-cations” happening these days, a trip to the local FEC could be the perfect answer for an afternoon of merriment. Of course the challenge for FEC operators is to ensure that their businesses do not fall out of favor like their predecessors. One significant advantage some of them have is that at least a portion of their attraction can be operated year round, even in colder climates. So will FEC’s take the place of Trolley Parks? Have they already? What do you think?